This award’s category is a bit different than our other ones we have done so far. Today we are looking at unique discs. These are discs that you notice are different from the first time you see them or throw them. They could be drivers, putters, or some kind of hybrid. We are looking for the weird and unusual, but also don’t forget the first word of the title of this post: Best. Is this weird disc actually useful out on the course? And don’t forget our two keywords which are popularity and utility. The popularity may not play as big of a role in today’s article, but we are still looking closely at utility. We are looking for the discs that are getting use out on the course still. We want uniqueness that provides something useful for the disc. So all that being said, let’s get to our nominees for The Infinite Discs Best Disc Golf Disc: Unique Disc. The GT stands for “Groove Top,” which is pretty self explanatory. The Discraft Banger GT features a groove along the top of the disc that is designed for placing your thumb in the groove when you grip the disc. 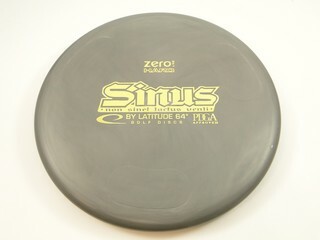 This disc is used as a putting putter, but is also a popular approach disc. The Innova Condor is our nomination from the disc golf “super-class” category of discs. These are large diameter discs that are PDGA approved. Most of these discs are pretty much irrelevant in modern competitive disc golf, but the Condor is still popular in some communities as an approach disc or even a roller disc with it’s large blunt rim. The Condor is also a popular disc for playing catch to warm up before competitive rounds. 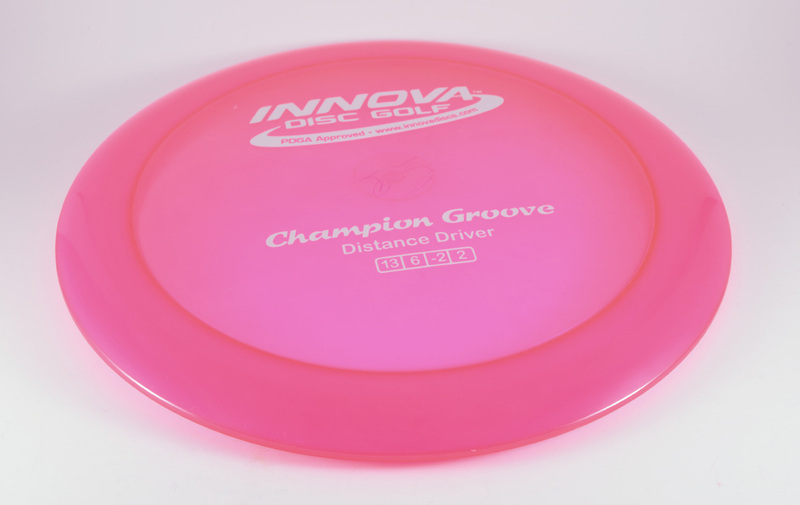 I often call the Innova Groove the punchline disc of disc golf. I give it this name because it is often joked about as being one of the worst discs. However, for those who have actually used this distance driver, it isn’t a bad disc at all and could even be described as underrated. It gets the jokes because of why it is named the Groove. There is a dip/groove in the rim of the disc that is kind of weird looking. However, when throwing the disc backhand, you can’t feel the groove at all. It may influence forehand shots, but for stable distance backhand shots, the Groove is a great disc. The Dynamic Discs Justice is unique not because of how it looks but how it flies. The Justice is a ridiculously overstable midrange disc that has pretty much no glide at all. The insane overstability makes this disc is a popular choice in windy conditions. But this unique disc is not only used in those conditions. It is a popular choice for approach shots and trying to get around a tight bend. The Prodigy M5 might be the worst selling disc among our nominees today, but it has something so unique that it is worth adding to our list. It is the most understable midrange in the Prodigy lineup, and it features a really funky rim. When you look at the bottom of the disc, it almost looks like there is a smaller disc stuck inside of a larger disc. The M5 looks like it has two rims. It isn’t a bead, but it is just two bumps that look like the bottom of two different beadless midranges. It is kind of weird and very unique. The Latitude 64 Missilen was the first ever disc released with a speed rating of 15. And to my knowledge, it is still the only disc with a speed rating this high. To achieve this rating, the Missilen features one of the larges rims in disc golf, but that isn’t even the most unique thing about this disc. Across the top of the flight plate there are little hexagonal pock marks in the plastic which is designed to influence the flight of the disc. It does influence the flight offering a unique flight that is a little tricky to get the hang of at first, but those who have learned how to use the Missilen are able to throw the disc very far. The HyzerBomb Moab is a super overstable disc that flirts with the line between midrange and fairway driver. It is one of the only discs that is comparable with the Dynamic Discs Justice as far as how overstable it is. This disc is a meethook that will fight any wind. It also has a unique rim that is more aerodynamic on the edge like a driver, but it has a divot in it that kind of functions as a really large bead. The Moab is a different kind of disc to say the least. The Innova Nova wasn’t the first disc to be made with an overmold, but it features one of the most unique overmolds in disc golf. MVP/Axiom features only discs with an overmold, but when you look at their shape, they look similar to other discs that don’t have an overmold. But The Nova has a totally different shape, featuring a very tall rim. Also this disc flies like no other with hardly any fade at all due to this unique overmold. The Latitude 64 Sinus is a pretty popular approach putter. It features three textured “patches” along the top of the disc designed to offer extra grip for your thumb placement when gripping the disc. Each patch has different textures so you can choose the one that is most comfortable for your grip. In flight, the Sinus is pretty overstable and is a good choice for battling the wind. There are several older Innova putters that are pretty unique now, but most of them are basically obsolete. But the Innova Sonic has seen a resurgence in recent years. Garrett Gurthie has even made it one of his signature tour series discs. It is a straight flyer that is similar to the Nova in that it is very fade resistant. It has a rim that is similar to an ultimate disc and features grooves on the top for thumb grip. and it has a unique flight plate that is reminiscent of cheap promo discs you will get for free at a parade or from a dentists office. But don’t let that fool you. The Sonic is a great straight flying disc for approach and even putting. The Reptilian Stego is an often forgotten disc coming from a smaller name brand. The manufacturer’s turn rating for this disc is a +1. For those of you unfamiliar with turn ratings, this means that the disc does not turn, which means the Stego is a massively overstable midrange disc. It also features a little lip on the top near the rim called a thumb track. Your Opinion: Win a disc of your choice! What is your favorite unique or quirky disc? Is there a special disc that we are totally forgetting about? Let us know in the comments! Comment with your favorite unique disc golf disc (nominated or not nominated) and we will select 3 people from the comments to receive their favorite utility disc for free from Infinite Discs! Condor is super underrated. Great disc to lend to beginners who have some frisbee throwing experience and a solid approach/get out of trouble disc for more experienced players. If you need a nice 200-250 ft straight shot,reach for this disc. It doesn’t handle power too well, but throw it nice and smooth and watch it glide for days on any line you put it, lands nice and soft right where you want it. Also a great roller disc when you’re in a pinch. Best in heavier weights though! To me, it has to be the Dynamic Discs Justice. It has a speed of 5 and is very overstable, but I have a Verdict and it’s very good. If you need an overstable pin down target, grab a Justice. How did the Aerobie Epic not make this list? I’ve never thrown one, so I can’t call it “the best,” but it’s certainly the weirdest disk I’ve ever seen. Of those listed, my favorite is probably the Justice. My first ace race disc was the Discraft Impact. It’s unique because of the cross-hatch pattern on the rim! I think the Nova would win for me in this category. It’s big and bulky, I have one time heard a guy call it the McBoob and I thought it was pretty funny. But it’s reliable. I used to hate it because it showed all my flaws, but deep down inside I loved it for that same reason. I think that the two most underrated (and unusual) discs are the Latitude 64 caltrop and the Lat 64 Raketen. The Clatrop is a unique disc that is super beefy, which makes it great for putting in winds and for up shots. The raketen has the weird opto hex plastic with little hexagons imprinted into the disc, this makes it faster and a fun throw, this disc goes incredibly far, and is quite under stable so it can roll for days. I think the Discraft Flick should have been on here. I don’t know of any other disc that feels or flies like it. Can’t believe blowfly or gumbputt from DGA didn’t make your list. Like tossing a Mexican sombrero. Great for bailing out of death putts for us rank amateurs. 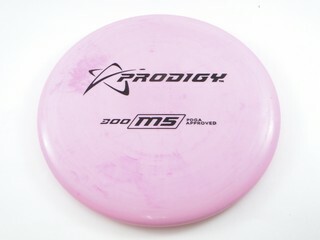 I throw all Missilens for distance, but the plastic addicts Habit putter needs to be on this unique disc list. My vote is the Banger. It is a disc I really thought I wouldnt like. It had multiple things about it I didnt like such as the tumb track and bead. However as soon as I threw one I completly changed my mind. It is such a wonderful disc in the hand. I feel like i have more control with the Banger than any other disc ive ever thrown. Threw it next to the luna and the nova. Neither was even close. The banger is a disc everyone should have in their bag. Simple easy point shoot and comfortable. It is 1000% unique but a stellar disc for what it is. I’ve got to go with the Discraft GT Banger. I have never thrown the disk but I have seen it and felt it before. It looks very unique and different than any other putter I have seen on the market. I have a jawbreaker buzz and love that plastic. It feels good in the hand and sticks very well. So I would look into trying this disc out in the near future. The Justice is my vote. 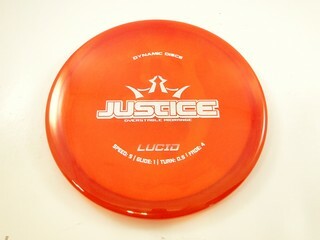 While all are very unique, the Justice basically reinvented the crazy over stable midrange for disc golf. Since the Justice was released most companies have attempted release a clone of the Justice (looking at you MD5). In flight I have never seen a disc just fall out of the sky like a brick when it slows down and land without a massive skip. Other massively overstable discs push far to the left in flight off a target line unless planned for (aka throwing very wide to the right), where as the justice’s fade is strong it does not require nearly as much room to the right. The Justice will drop out of the sky instead of continuing to glide out in the last part of the flight. To me this allows for a larger degree of trust, accuracy, and distance control even when throwing tighter lines.